The Orianne Indigo Snake Preserve (OISP) is our field station based in Telfair County, Georgia, located halfway between Jacksonville and Lumber City. 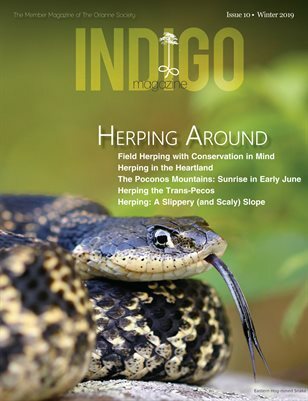 As Director of Land Management, I work with conservation-minded, private landowners who own indigo snake habitats, state and federal land management agencies, conservation organizations, such as The Nature Conservancy, and other non-governmental organizations. Our primary focus is working on restoring sandhill natural communities on private lands (including OISP) in Dodge, Irwin, Jeff Davis, Montgomery, Tattnall, Telfair, and Wheeler counties identified on the Multi-State Sandhills Grant. Wildland fire management, particularly prescribed fire, is the primary consideration of the Land Management program. Most other land management actions are done to support or enhance the effects fire has on natural communities. For example, OISP will sell timber to meet restoration objectives and phase out ‘off-site’ pine species planted for industrial objectives, replacing them with longleaf pine which was the dominant canopy tree species on the Southeast Coastal Plain. We use equipment, such as a track-loader with a tree-mulching mower attachment, to manipulate vegetation for establishing fire breaks and enhancing fire effects on overgrown sites, as well as other attachments to move dirt. We also utilize a small tractor for mowing and small-scale grading. Groundcover restoration is the second most important facet of land management. Most of the sites we are working on have been degraded by any number of previous land uses. We will burn sites with high-quality native groundcover plants in the spring and early summer to mimic lightning-caused fires, which most of the groundcover plants have adapted. This seasonal timing is very important to stimulate the flowering and fruiting response of the groundcover and yielding viable seed. Many of the groundcover plants will have mature seed in the fall following spring-summer fire. We will then use specialized equipment to collect the seed and hand-collect where inaccessible to equipment and some of the less common species. Planting with specialized equipment occurs soon after. Some of the other less glorious aspects of land management include maintenance of the rolling stock (vehicles and equipment), access (road and trail maintenance), and security (trespass/poaching, vandalism). Staff at the OISP includes Amy Clifton, Land Management Specialist, who lives on the property; Brannon Knight, Field Operations Coordinator; and Zach Van Hook, part-time Land Management Technician.